When customers walk out of a store with heavy bags, they often do not have a free hand to open a door so it goes without saying that an exterior automatic door can be a huge asset to your business. Automatic doors often make entry into your business easier for shoppers that might have a lot of kids in tow as well. It also makes entry into your store more accessible for the elderly or handicapped. Your business strives to meet the needs of your customers. At DC Local Locksmith Experts, we strive to best serve your automatic door installation and repair needs in Washington, DC so that you can better serve your customers. Business owners know that consumers are drawn to convenience. This is the cornerstone for many industries from the automobile industry and fast food restaurants to department stores and online retailers. People want to get where they are going at an accelerated speed. Clients want to get what they need in an efficient manner. It is completely understandable as we all live in fast paced world. People appreciate convenience. When customers walk out of a store with heavy bags, they often do not have a free hand to open a door so it goes without saying that an exterior automatic door can be a huge asset to your business. Automatic doors often make entry into your business easier for shoppers that might have a lot of kids in tow as well. It also makes entry into your store more accessible for the elderly or handicapped. Your business strives to meet the needs of your customers. At DC Local Locksmith Experts, we strive to best serve your automatic door installation needs in Washington, DC so that you can better serve your customers. 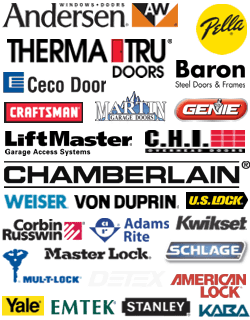 DC Local Locksmith Experts provides automatic door installation and repair for Washington, DC and surrounding areas. Our experts are highly skilled professionals. Your business can count on our fast and friendly service 24/7. We understand that no one appreciates hidden fees. 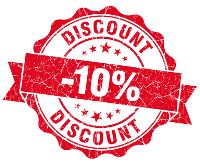 For this reason, our company adheres to an upfront pricing guarantee. Our technicians are honest and reliable, and our team comprises experts that are committed to quality and efficiency. The security of your business is a top priority for us. We know that you only want the best for your business. Our locksmiths are bonded and insured, so you can feel safe while experts install and repair your commercial doors and automatic doors. Our highly trained technicians have experience servicing all kinds of doors and are knowledgeable regarding a wide range of automatic door hardware. 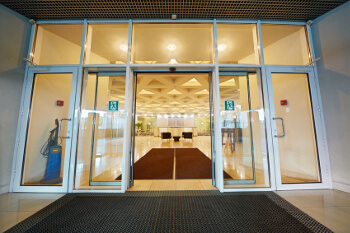 We understand that there are a variety of automatic doors that suit different needs. It is not enough for a technician to be knowledgeable of only one kind of automatic door. All of our experts have installed and repaired a wide spectrum of automatic doors and their associated hardware. Whether your door utilizes infrared sensors, actuators, or automatic door closers, you can rest assured that our experts can efficiently install or repair your automatic door and fix automatic door closers in DC. We offer 24-hour DC door installation services because we understand the demands of your business do not always fit neatly within a 9am to 5pm schedule. We understand many business owners have to roll up their sleeves and serve customers at hours that fall well outside the hours of typical working hours. If your door no longer opens, your business will be at a standstill. That is incredibly costly and could potentially cripple your business’ bottom line. Our experts are available 24/7 so you can be up and running as soon as possible. As a business owner, you are probably well aware that burglary attempts do happen when doors and locks are installed improperly. We will immediately repair damage from a burglary if it malfunctions so that your business will not face further threats. Heavy customer traffic can sometimes leave automatic doors susceptible to jamming but our experts can provide services including door frame repair, door jamb repair, and door hinge repair. DC Local Locksmith Experts believes in upfront pricing and optimal service. You can count on our fast and friendly technicians for 24/7 DC door services in the Washington, DC area. Our experts are local and trustworthy so you can expect the best service around the clock. Your business wants to best accommodate all of your customers. An automatic door adds to the ease of a client’s shopping experience. Customers will always be drawn to business that make their life easier. They do not want to struggle to open a door as they hold heavy bags. By adding automatic doors, you encourage a shopper to buy more freely because they do not have the thought of having to push the dreaded non-automatic door. Your business can thrive when customers feel more comfortable. Our experts can ensure that your doors open further possibilities. Automatic Doors Installed and Repaired https://dclocallocksmith.com/automatic-doors-dc/ 4.1/5 based upon 15 reviews.